About approx., two years ago (2016-2017), Dutch diplomats exchanged information with Turkey and the so-called Free Syrian Army (FSA) with the aim of bringing Dutch jihadists from Syria back to the Netherlands for alleged prosecution. After all what has been discovered and written, by me, about the Dutch government, their involvement in recruiting, paying and the transfer of weapons (mainly from the US) through a special unit of Schiphol Airport (Amsterdam), the salaries they paid to the jihadist, which they still call rebels, the delivery of so-called non-lethal aid, which turned out to be lethal, because, you can put a “weapon” on a Toyota truck. And now the discovery, by the regular MSM about diplomats aiding jihadist in Syria, which was, for me and many others, common knowledge, because, I knew from the beginning that the Netherlands was and still is “deeply” involved in the regime-change wars by the US/deep-state and right from the beginning, took part in the regime-change strategy to overthrow President Assad and his government, to install a “puppet” regime, consisting of Muslimbrotherhood members, later called Al-Nusra, Al-Queda, Tahrir as Sham resulting into ISIS, or as the Syrian people call it: DAESH. When it became clear at the end of 2016, that more and more jihadist/terrorists, actually mercenaries from ISIS and being partly mercenaries from the Dutch government, wanted to return to the Netherlands, because the Syrian and Russian army where winning the war from the western sponsored jihadists. A senior policy officer from the Security Policy Directorate under under supervision of the Minister of Foreign Affairs Bert Koenders (PvdA – Social Democrats) sends a substantial memo to his managers. He suggested that the Minstry of Foreign Affairs will help jihadists who are in Syria and the ones who could not reach the Dutch embassy because, they where being held by the Free Syrian Army, the SAA – Syrian Arab Army, or the Kurds. Their statement: “With a view to national security, it is important to actively assist these persons … to let them return to the Netherlands under supervision”, they argued. According to them, it is also the task of Foreign Affairs to help everyone “regardless of what they have done”. BREGUETLAAN 7, 1438BA OUDE MEERN, NEDERLAND. 19/10/2017 :Video from the SAA, showing the immense amount of weapons send by western countries, to destroy the Syrian people, not Assad, because, it’s always the civilians who are killed or Syrian and Russian soldiers. The Dutch ambassador Marcel Kurpershoek started Monday as a special envoy for Syria. Minister of Foreign Affairs Frans Timmermans said that on Monday evening in a Dutch TV program. From the Consulate General in Istanbul, Kurpershoek will maintain contact with Syrian opposition groups, authorities and fellow envoys in the region. Paul Marcel Kurpershoek is a Dutch Arabist, writer and diplomat. After studying Arabic at the University of Leiden and the University of Cairo, Kurpershoek has been working at the Ministry of Foreign Affairs since 1974. Kurpershoek was head of the Middle East Directorate at the Dutch Ministry of Foreign Affairs. He then worked for the United Nations and NATO. He then researched Bedouins in Saudi Arabia and from 1998 was an extraordinary professor in the Languages and Cultures of the Islamic Middle East at Leiden University. After this he returned to the Ministry of Foreign Affairs and became Dutch ambassador to Pakistan (2002-2005 – war on terror time), Turkey (2005-2009) and Poland (2009-2013). From August 2013 to December 2014, he was a special envoy for (but not in) Syria. After that a man called Gerard Steeghs was the Dutch special Envoy for Syria. https://www.raamoprusland.nl/ and ofcourse frequently interviewed by the NRC. 2017: The Syria envoys, including the Dutch special envoy Gerard Steeghs, have already played a positive role in advising the opposition in previous negotiations in Geneva. It is also important that the moderate opposition receives support from the envoys during follow-up talks in Geneva and future talks about political transition. At his meeting, Minister of Foreign affairs Bert Koenders made a call to continue and strengthen this support. It has already been shown that another Dutch envoy: UN ambassador, Karel van Oosterom, was aware of the human rights violations committed by government-sponsored combat groups in Syria. The Netherlands had a seat on the UN human rights council and from that capacity, to maintain regular contact with the UN commission investigating war crimes in Syria. A former member of this committee, Carla Del Ponte, said Van Oosterom was “in detail” aware of the UN report. This reports was only about the Kurds of Aleppo, but the Dutch government neglects the other groups in Syria, the Kurds are just a minority in Aleppo. But they could burn their fingers if more reports come out about ALL the warcrimes committed on the residents of Aleppo, or any other city in Syria. The Kurdisch issue, due to the segregation in the Dutch politics, were you have Kurds, Turks who are arguing about the Syrian war, were high on the list during the “debate on Syria”. Forgetting to talk about all the SYRIAN people! The Dutch government, is guilty of warcrimes in Syria, according to all regular MSM, reports at the UN, people on the ground and many many sources confirm so. But now they continue their “crimes”, if they support ISIS Jihadist, who murdered thousand of people, gave them support and financed them to let them return to the Netherlands. Illegally gave them aid to return to the Netherlands. They (Jihadist) should be trialed in Syria, for crimes against humanity. Members of the Dutch Government under supervision of Prime-minister Rutte 2012 – 2018 government , should be trialed for crimes against humanity, regime-change co-operation and violation of International Law. Special envoys Marcel Kurpershoek, Gerard Steeghs and Karel van Oostrom, should also be trialed, for the same offenses as above. Also, the Dutch media outlets, like the NRC newspaper and the so-called “Arabists”, should be investigated thoroughly about their “scientific” allegations against sovereign states like Syria and Russia, which is to my conclusion “pure”propaganda, without strong research or “boots on the ground”. The Dutch government who financed the war in Syria, should repay the Syrians, and lifting the sanctions. The Netherlands, among, other countries who conducted a war on Syria, should repay the Syrian people/state and stop the sanctions against civilians! The the coat of arms of the house of orange and therefore, the Kingdom of the Netherlands and it’s people, it means: I will Maintain. This week one could read in all the regular MSM (the Dutch) , that the F-16 Fighter-jets from the Dutch (Airforce) military returned home from their “IS” mission from the Middle-East! It did not specify if it was in Iraq or Syria, just the Middle-East. (Omroep Brabant) The F16s have been used for 14.500 hours during 3000 operations. During those operations 2100 times there was a “weapon deployment” from which the F16s threw bombs on vehicles, logistic storage sites and weapon arrangements. The Air Task Force Middle East (ATF ME) of the Royal Netherlands Air Force completed its task in the Middle East on 31 December. After 33 months of fighting IS, with an interim period in which the Belgian Air Force took over, the mission now ends. André Steur, director of operations: “IS has suffered a lot from us.” There are still IS fighters in the area, but Dutch politicians determine where we are deployed and when. Minister of Foreign Affairs (VVD): opened a hospital in Iraq: ‘The Netherlands is working on reconstruction after defeating ISIS, so this raises the question why in Iraq and also not in Syria, the F-16 fighter jets, surely bombed (of course argumented), “accidently” hospitals in Iraq and Syria, but most important of all, the Dutch government, didn’t have a MANDATE to bomb Syria, a violation against International Law, bombing a sovereign country, under some circumstances it’s allowed, but these circumstance were not present in Syria, NOBODY attacked the Kingdom of the Netherlands and therefore, the bombing of Syria is an act of War, which should be repaid, by the Ducth Government, which happened in many cases in the first and second WW. Then they write that it was a succes, really was it? Didn’t the Syrian army in co-operation with Russia, who were invited to join the fight against ISIS, defeated ISIS, or DAESH?! Yes they did, the Dutch, being part of the so-called “coalition”, didn’t DESTROY IS, because, IS is an creation, like Al-Qeda, from the US/Deepstate/NATO and therefore, safely evacuted from parts of Syria and Iraq, meaning the most important leaders, who were brought to Israel (White Helmets, which is now established during an UN hearing, that they are Al-QUEDA) and Jordan, to re-establish and form new “terrorist militia’s”, for destabilizing when necessary. Were is Abu-Bakr-al-Bagdadi? Nobody heard from him since the liberation of Syria and the so-called liberation of Iraq, the destruction of Raqqa and Deir-ez-zor! He vanished? Maybe there is some truth in what I was writing already in 2014. 2014: The leader of radical Sunni fighters who have made rapid military advances in Iraq is the rising star of global jihad, driven, Islamist fighters say, by an unbending determination to fight for and establish a hardline Islamic state. 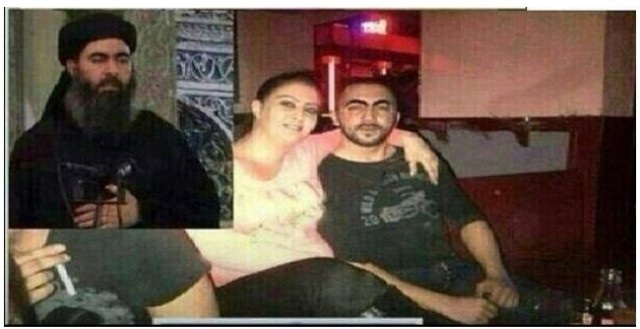 Abu Bakr al-Baghdadi, commander of the Islamic State in Iraq and the Levant (ISIL), now controls large parts of eastern Syria and western Iraq, a vast cross-border haven for militants in the Sunni Muslim core of the Middle East. Abu-Bakr-al-Bagdadi a.k.a Simon Elliott – Mossad/CIA agent. The Netherlands also has an interest in stability in Iraq. On the one hand, this reduces the threat of terrorism and the risk of a new flood of refugees, and on the other hand increases the chance of return of displaced persons. ‘I see here with my own eyes how much damage the ISIS terror left behind. The Netherlands will help the country in this new phase, in which Iraq can rebuild, so that the victory over ISIS becomes sustainable. Then displaced persons and refugees can return to their homes, “says Blok. The same old story, the Netherlands sending “soldiers”, didnt’ Iraq see enough soldiers since eighteen years? The US and also the Dutch (among other Western countries) invaded Iraq and made a great misery for the people and here we go again the Kurds. When do they stop with favouring one particular minority? Iraq doesn’t consist only out of Kurds, the majority is Shia Muslim, so forget the Kurdish indepency, work towards real peace and help the people establish their country. Give them hope and freedom and they will solve their own political issues. 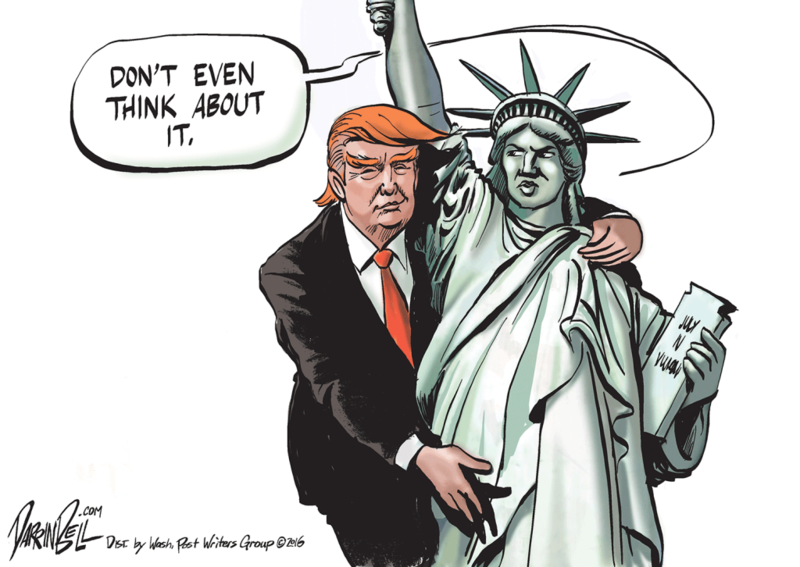 Don’t interfere, not politically and not military. ISIS has mobilized millions of refugees in recent years; The consequences of ISIS are noticeable in the region and also in Europe and the Netherlands. Minister Blok visited a refugee camp in Jordan: ‘The countries around Syria are carrying a heavy burden. Mind you, almost 1 out of 10 people in Jordan is a Syrian refugee. The Netherlands helps by generating jobs and education for these refugees, and contributing to host communities in Jordan that receive the refugees.. So they help them in Jordan they say, but they are Syrians and ought to return to Syria, if the Dutch government pays the Syrian government for reconstruction of Syria and it’s society, then we are talking, furthermore, lifting the sanctions, so people can live economically a better life! It is not difficult, but of course , the Dutch government, like the other Western countries who joined the so-called coalition and the US, who prefers never to repay it’s warcrimes, only if they benefit, don’t want to pay, unless, their imperialistic aspirations, will be satisfied. So Assad and the Syrians won, also Russia, a blow in the face of the Western coalition and with the newly elected President Trump, who is maybe crazy, but not crazy enough to withdraw from Syria (which will be nearly impossible, because they will for sure send some “blackwater” style militia’s to the borders). Their mantra stil going on: Assad must be gone than we will pay, well wake up guys, Assad will not go, not now and not in the near future, the Syrians love their President and didn’t bring for nothing so many offers of many young man and women, who defended their country and their homeland, they only had one and they were stubborn not to flee the imperialistic war and now you want them to “change their president”, you must be joking! 2015: The huge crowds of immigrants, through Hungary all with one goal: Germany, Merkel openend her doors, because of ,lack of “young” German workers, she and her government opened the door for “everyone”..which is the most stupid thing you can do, or is the Kalgeri plan? Leaves the Dutch government with a huge debt towards the Syrian people, matrial and immatrial quilt, the ones who designed and performed this gruesome war on Syria should repay one way or another. In a sense they already repaying it, the huge influx of migrants, which they still call refugees, brings a lot of misery to the once wealthy and civilized people of Western Europa, now their society is falling apart, which will led eventually to the fall of Western Europe, baring in mind the fall of Rome! What happens when a falling birthrate collides with uncontrolled immigration? The Last Days of Europe explores how a massive influx from Asia, Africa, and the Middle East has loaded Europe with a burgeoning population of immigrants, many of whom have no wish to be integrated into European societies but make full use of the host nations’ generous free social services. 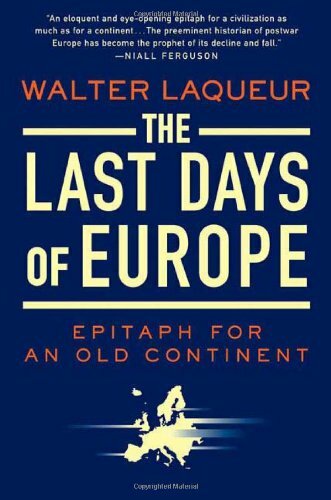 One of the master historians of twentieth-century Europe, Walter Laqueur is renowned for his “gold standard” studies of fascism, terrorism, and anti-Semitism. 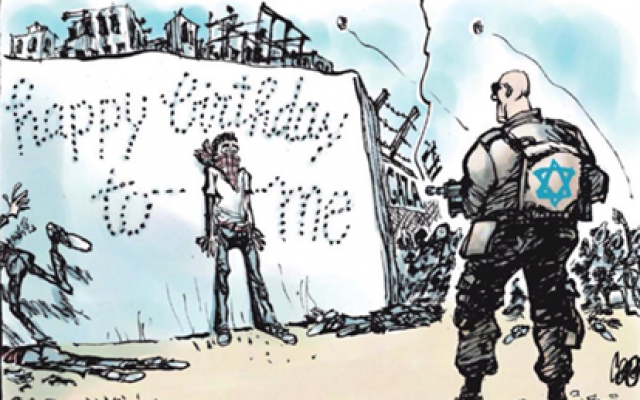 Here he describes how unplanned immigration policies and indifference coinciding with internal political and social crises have led to a continent-wide identity crisis. “Self-ghettoization” by immigrant groups has caused serious social and political divisions and intense resentment and xenophobia among native Europeans. Worse, widespread educational failure resulting in massive youth unemployment and religious or ideological disdain for the host country have bred extremist violence, as seen in the London and Madrid bombings and the Paris riots. Laqueur urges European policy makers to maintain strict controls with regard to the abuse of democratic freedoms by preachers of hate and to promote education, productive work, and integration among the new immigrants. Written with deep concern and cool analysis by a European-born historian with a gift for explaining complex subjects, this lucid, unflinching analysis will be a must-read for anyone interested in international politics and the so-called clash of civilizations. Geplaatst op januari 4, 2019 januari 4, 2019 Categorieën Irak, ISIS/DAESH, NATO, Politiek/politics, Rusland/ Russia, Syrië, the Netherlands, US - Amerika, Verenigde Naties (UN)1 reactie op The Dutch government who financed the war in Syria, should repay the Syrians, and lifting the sanctions. Yesterday the debate was held in the Dutch parliament about Syria, the support they gave to the so-called Syrian Rebels and their alleged warcrimes. First of all a few personal reflections, on the debate. Right after the debate had started you could notice, how divided the Netherlands is. I would almost call it a sectarian partition of the so-called Dutch society and politics. For non-Dutch citizens it would look like an urealistic clownish theater show, with many political parties with their own sectarian agenda , how could one expect to compromise and how can you expect that they have any “human” feeling, with the Syrian people? They are pre-occupied with their own rules of power and bureaucracy, only care about rules (complicated ones) and not speaking about people, but “lessons to be learned”, if the second WW wasn’t bad enough or Sebrenica, Iraq, Libya, Afghanistan, Yemen, these people, who call themselves politicians and people’s representatives, only care for their own small group of people and unable to govern a country on ethics and humanity, the only common factor, or common ground, is money and taxes and that is about it! A political multinational, based on so-called “democracy prinicipals, they once read, long time ago, in books of the old Greek philosphers and constantly use and misuse this word”. It turned out to be a bunch of opinions unable to govern in a humanistic way. There was only one or two Parliament members who stood above the sectarian issue which downplayed in the parliament, that’s all! The debate opened with, an example for sectarian rule, a representative of the Socialist Party, a representative from Kurdish origin, she straight away came in conflict with the representative of the pro-Turkish party called DENK. You can imagine the issue: the Kurdish MP brought up the murder on the people of Sheik Maqsood (Kurdish neighborhood in Aleppo), as if the whole of Syria and the warcrimes committed by Jihadist (still called rebels), is the only group together with Jabhat Al Shamiya who committed crimes, Jahbat Al Shamiya was and is part of the Levant group, but of course the groups investigated by the Dutch government are “top” and “state” secret. For the Dutch readers, the only member of parliament with some sense and understanding is Thierry Baudet (Forum for Democracy)! The Turks (DENK) clashed with the Socialist and the so-called Christian Party (Christen Unie), called DENK the long arm of Erdogan and the Socialist MP accused him being against the Kurds. After this half an hour of ridiculous accusations towards eachother it was getting worse upon worse. 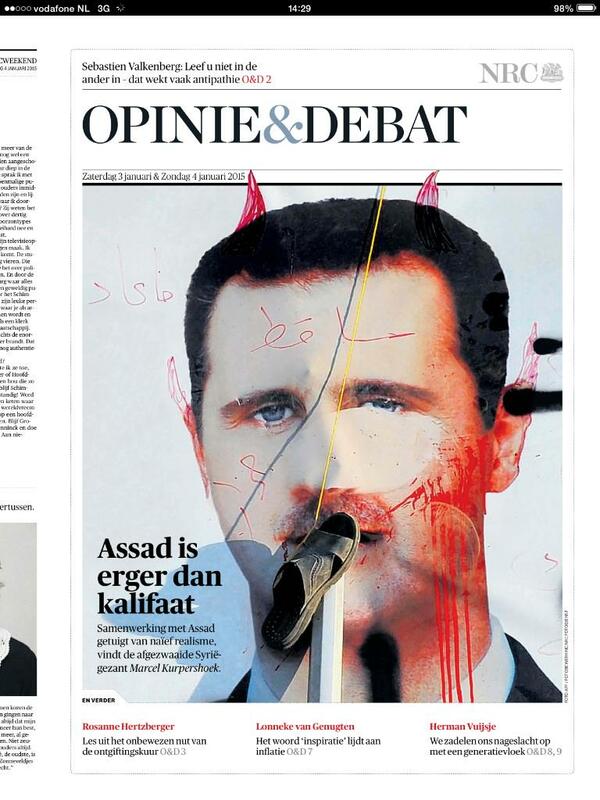 The so-called social-democrats (PvdA), is the most dumbest party of all, when it comes to foreign affairs (a master class English would help them a lot) the same mantra they keep repeating for years and years: Assad murders his own people, he is a dictator and murderer. No conversation or debate can be held with these so-called Social political parties, like PvdA or the Green Party, who (Green Party) only cares about refugees and loves the White Helmets. This mantra applies for D’66 (Democrats 66), the party of the “Fake news” issue and end-of-life-principles, a corrupt leader called Alexander Pechtold, who bashes Women and get nice presents: “appartment” from “friends”. The minister of Trade is Siegrid Kaag, ringing any bells ? Yes it’s her, the former head of the OPCW (investigating the alleged chemical attacks in Syria) and married to a High ranking Palestinian, called Anis al-Qaq, former Ambassador for Palestine and member of FATAH, she voted against the releasing of Ahed Tamimi, a teenager under 18 who was detained in an Israeli Prison, she is against a resolution, which asks for the release of minors in Israelian prisons, speaks no word about the weekly killing of children in Gaza (the Great March of Return) she should, to my opnion divorce Anis al-Qaq, or leave parliament, there is no (political) justification for this! 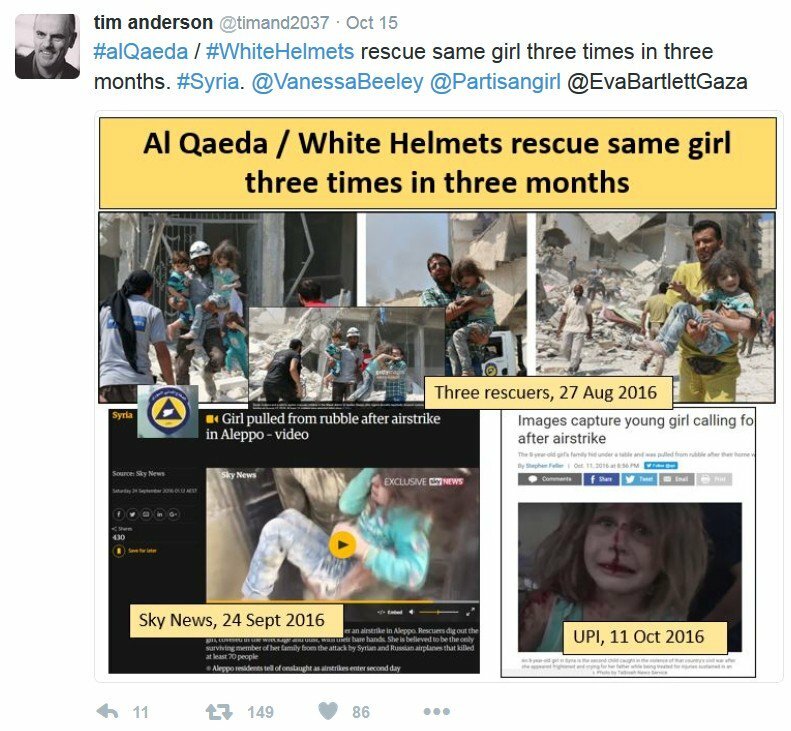 The Netherlands is granting asylum to the White helmets, a.k.a., Al-Queda. Maybe five families will come, details are not known, as usual, state-secret! On the contrary, Minister Stef Blok ( the Minister of Foreign affairs, not a very adequate minister put in the wrong position) said that he would stop financing the White HeImets, because, they could not verify this group! Double standards and misleading information by the Dutch government! So, I would do an urgent call on Syrians, who are in favour of the Syrian government, Christians and Alawites in the Netherlands, refugees or asylumseekers to return to Syria or a real safe country, eastern Europe and Russia, they are terrorists and killed many people in Syria, better to leave Europe at least the Netherlands, because, it will not be a safe place…The war has come to Europe, we hear it in parliament, sectarian issues, granting asylum to Al-Queda, a.k.a., White Helmets,who killed many of Syrians, Alwites, Christians and secular! A majority of the parliament wants an external and independent investigation into the support that the Netherlands have provided to various armed groups, called the Syrian rebels. Government parties: VVD, CDA, D66, CU, GroenLinks, PvdA and SGP want the Advisory Committee on International Law Issues (CAVV) and the Advisory Council on International Affairs (AIV) to carry out the investigation. The other parties: SP, PVV, FVD, Partij van de Dieren, 50+ wanted the government to leave, because of, misleading information and involment of Human Rights violations and conducting an illegal war on a sovereign country! The research should focus on support in Syria, but should also lead to a new procedure with stricter rules for supporting armed groups abroad. The parliament debated Tuesday evening with Minister Stef Blok (Foreign Affairs) about a program that the Netherlands started in 2015. Syrian so-called rebels fighting against the government of President Bashar Al Assad and provided so-called non-lethal support. Which according to various experts is against International Law and there was no mandate from the UN. It has costs thousands of Syria their live and distrupted families and country. Does the support fit within the framework of international law. Of course, no word about the humanitary catastrophy, upon which the Dutch government would be guilty of, if proven so by the above mentioned questions. No word about entering a war, illegally, bombing raids on innocent Syrians who lost their lives, of the killing spree of the Dutch F-16 fighters who dropped bombs in Syria! Collatoral damage they call it. I call it killing of innocent citizens by a precise plan, murder of citizens and soldiers trying to protect their country from extremists, there is no administrative excuse for attocities, that we know from WWII! That’s all folks from the Dutchies! Vice-premier, de Syrische minister van Buitenlandse Zaken, Walid al-Moallem hield een toespraak tijdens de 73e zitting van de Algemene Vergadering van de Verenigde Naties met een vernietigende boodschap aan de VS, Israël, westerse staten en en Turkije. Hieronder de video en de inhoud van de toespraak. In de toespraak bevestigde Al-Moallem dat Syrië erop uit is al zijn territorium te bevrijden van terrorisme en alle illegale buitenlandse troepenmacht uit te zetten of te verwijderen goed of kwaadschiks. Hij verzekerde dat de situatie ter plaatse in Syrië veiliger en stabieler is geworden nu de strijd tegen het terrorisme bijna afgelopen is “in strijd met de “weddenschappen” en wensen van sommigen staten (Assad moet weg mantra)”, wat aangeeft dat Syrië ernaar streeft het politieke pad parallel met contraterrorisme, wederopbouw en de terugkeer van de ontheemden aan te gaan. Dit, voegde hij eraan toe, is in overeenstemming met het behoud van de nationale principes zoals vertegenwoordigd door de soevereiniteit, onafhankelijkheid, eenheid en territoriale integriteit van Syrië. Al-Moallem sprak een “vernietigende boodschap uit” tegen regeringen die Syrië het verankerde (Internationaal Recht) hebben ontzegd, om terrorisme te bestrijden en zijn eigen volk te beschermen “op zijn eigen grondgebied en binnen zijn grenzen”. De coalitie smeedde een “illegale coalitie” onder leiding van de Verenigde Staten met de claim “het bestrijden van terrorisme” wat eigenlijk een oorlogsverklaring aan Syrië was. Deze coalitie heeft alles bestreden, behalve terrorisme … In plaats daarvan; heeft het bewezen dat haar doelen bijna hetzelfde zijn als die van terroristische groeperingen, voornamelijk het bevorderen van chaos, dood, moord van het Syrische volk, vernieting van een soevereine staat en oorlog. De coalitie, volgens al-Moallem, heeft Raqqa-stad volledig verwoest, maar ook volledig, infrastructuur en basisbehoeften zijn compleet vernietigd en wreedheden zijn begaan tegen burgers van de stad, alle aangewezen als oorlogsmisdaden volgens het Internationaal Recht. Ook heeft de Coalitie directe militaire steun verleend aan terroristen in de strijd tegen het Syrische leger. Al-Moallem zei dat de situatie in Syrië onafscheidelijk is van de situatie in de internationale arena, waar twee mogenheden of wereld assen met elkaar in strijd zijn: één die probeert vrede, stabiliteit en welvaart in de wereld te verspreiden en een cultuur van dialoog en wederzijds begrip bevordert, respect voor het internationale recht, terwijl de andere as-mogenheid erop gebrand is om chaos in internationale relaties te forceren en een kolonialistische, imperialistische en hegemonische mentaliteit handhaaft om eigen belangen te realiseren, zelfs neemt zij, de andere mogendheid haar toevlucht tot vuile tactieken zoals terrorisme, door o.a. ,een economisch embargo op gewone burgers opleggen om volkeren en regeringen die deze buitenlandse overheersing en oorlogen afwijzen te onderwerpen, inodoctrinatie op Syriërs die gevlucht zijn naar EU landen, hen te onderwerpen aan de mantra “Assad en de regering moeten weg”, daar er anders geen verblijfsvergunning wordt gegeven, of moeilijk wordt gemaakt. Nu de situatie ter plaatse veiliger en stabieler is dankzij de verworvenheden tegen het terrorisme en gezien de niet-aflatende inspanningen van de regering om door het terrorisme vernietigde gebieden, op te bouwen, te herstellen en de wet weer in te voeren, is de situatie nu geschikt bevonden voor de vrijwillige terugkeer van de Syrische vluchtelingen naar hun thuisland die ze ontvluchtten als gevolg van terrorisme en de unilaterale dwingende economische maatregelen die hen in hun levensonderhoud beroofden! Al-Moallem zei verder dat de terugkeer van “elke ontheemde Syriër” een prioriteit is voor de Syrische regering, de deuren staan ​​wijd open voor alle Syriërs in het buitenland om vrijwillig en veilig terug te keren. Dit geldt voor Syriërs binnen en buiten Syrië, “voegde hij eraan toe. De minister zei, er alles aan te doen, om met de hulp van Rusland, de ontheemde Syriërs te helpen terugkeren en noemde de oprichting van een speciaal coördinatieorgaan om hun terugkeer te vergemakkelijken en hen te helpen weer een normaal leven op te bouwen. Al-Moallem gaf Westerse staten de schuld voor pogingen om de terugkeer van de ontheemde Syriërs te belemmeren door hen onder valse voorwendsels te ontmoedigen, een humanitaire dossier te politiseren en het als een kaart te gebruiken om politieke agenda’s te bevorderen, wat hij beschouwde als een voortzetting van de rol die zij sindsdien hebben gespeeld het begin van de crisis in Syrië. Al-Moallem zei dat Syrië de initiatieven van landen, die niet betrokken zijn geweest bij de agressie tegen het land, verwelkomt en een stevige en duidelijke benadering tegen terrorisme heeft omarmd tijdens de wederopbouwfase, waarbij bevriende landen die Syrië hebben bijgestaan ​​het voordeel hebben in de wederopbouwprogramma’s . De landen die deel genomen aan de zogenaamde “coalitie” zijn niet welkom aan het herbouwproces , niet welkom en niet uitgenodigd”, voegde hij eraan toe. Syrië heeft positief gereageerd op de resultaten van het Syrisch-Syrische dialoogcongres in Sochi, Rusland en een geïntegreerde visie gepresenteerd over hoe de Grondwet zou moeten worden gevormd en uitgevoerd, met een lijst van leden die de Syrische staat steunt, voegde al Moallem toe. Het actiekader en de bevoegdheden van de commissie beperken zich tot het bespreken van de huidige grondwet die volledig wordt geleid door en eigendom is van Syrië met de speciale afgezant voor Syrië als een facilitator van het werk van de commissie, bevestigde hij en verwerpt eventuele randvoorwaarden of conclusies met betrekking tot het werk of de aanbevelingen van de commissie. "De Syriërs hebben het laatste woord in elke aangelegenheid met betrekking tot de grondwet of enige andere soevereine aangelegenheid," voegde hij eraan toe. Al-Moallem wees erop dat nationale verzoeningen actief zijn geweest die hebben geholpen om het bloedvergieten in te dammen en veel vernietiging van gebieden hebben bespaard, veiligheid en stabiliteit terugbrachten naar deze gebieden en hun inwoners in staat stelden terug te keren. De strijd van Syrië tegen het terrorisme is niet alleen militair, maar ook cultureel, en psychologisch, het was een strijd tussen een cultuur van vernietiging, extremisme en dood en een cultuur van constructie, tolerantie en leven, voegde hij eraan toe, en riep op tot handhaving van VN-terrorismebestrijdings resolutie met een speciale verwijzing naar resolutie nr. 2253. Al-Moallem herhaalde het standpunt van Syrië tegen het gebruik van chemische wapens dat het “laakbaar” acht, waarmee wordt aangegeven dat Syrië zijn chemische wapens heeft verwijderd en aan zijn verplichtingen op dit gebied heeft voldaan zoals bevestigd door de Organisatie voor het verbod op chemische wapens (OPCW) ‘ s rapporten. Telkens wanneer Syrië verklaarde bereid te zijn professionele en objectieve teams te ontvangen om onderzoek te doen naar beschuldigingen van chemische wapens, zouden deze landen (de coalitie, VS, Turkije en Israël) belemmeringen plaatsen omdat ze al wisten dat de bevindingen niet verenigbaar zijn met hun valse doelen en intenties, ‘zei al-Moallem, in dit verband de geprefabriceerde scenario’s en beschuldigingen aan te halen die in april jongstleden werden ingeroepen om een ​​ agressie tegen Syrië te rechtvaardigen (VS, VK en Frankrijk). Al-Moallem zei dat Syrië herhaaldelijk heeft gewaarschuwd voor terroristische organisaties die chemische wapens hebben, toen ze ook daadwerkelijk chemische wapens gebruikten om de Syrische regering in te kaderen, werd de schuld bij de Syrische regering gelegd, door m.n. de Witte Helmen, a.k.a. Al-Queda. Al-Moallem bevestigde dat elke buitenlandse aanwezigheid op Syrische bodem, zonder toestemming van de Syrische regering, of op uitnodiging van de overheid als illegaal wordt beschouwd en een schending van de internationale wetgeving en het VN-handvest is, die de missie om terrorisme uit te roeien belemmert en regionale vrede en veiligheid bedreigt, eraan toevoegend dat Syrië de Amerikaanse, Engelse, Franse en Turkse troepen als “bezettende krachten” beschouwd en zal dienovereenkomstig worden behandeld. Al-Moallem eiste dat de internationale gemeenschap actie onderneemt om de illegale en handeld in strijd met het Internationale Recht, Israëlische praktijken in de Syrische Golan te beëindigen en Israël onder druk te zetten om de desbetreffende VN-resoluties ten uitvoer te leggen, en aandringt op de oprichting van een Palestijnse staat met Jeruzalem als hoofdstad en de terugkeer van de Palestijnse vluchtelingen naar hun land in overeenstemming met internationale resoluties, het Oslo akkoord en Internationaal Recht. Ter afronding van de toespraak zei al-Moallem dat Syrië het besluit van de Amerikaanse regering om de nucleaire deal met Iran te verbreken met kracht veroordeelt. Dit bewijst ééns te meer het gebrek aan betrokkenheid bij internationale verdragen en overeenkomsten. Het bevestigd opnieuw de invloed van Israël in de VS.
Voordat ik verdere artikelen schrijf over mijn bevindingen, afgelopen 2 weken in Syrië, moet ik toch een artikel wijden aan de Witte Helmen, een Al-Queda hulporganisatie, gesponsord door het westen, m.n. Nederland speelt een verderfelijke rol in deze zaak! Natuurlijk heb ik veel Syriërs gevraagd tijdens mijn reis, hoe zij over deze groep denken, alle gaven hetzelfde antwoordt: Terroristen, die een onderdeel van Al-Queda zijn, zij waren alleen daar, in Oost-Ghouta, Oost-Aleppo en Dara’a, waar de terroristen de Syrische dorpen bezetten, daarna door het het SAA zijn gedood, of meegegaan in de “groene bussen” naar Idlib, of zoals we nu weten, op weg naar Europa, daar sponsoren de Europese belastingbetalers nu verder het terrorisme, ik noem het NATO staatsterrorisme! NOS 22-7 (Nederlandse Staatsomroep): "Een uitzonderlijk humanitair gebaar", noemde het Israëlische leger de evacuatie van honderden Syrische hulpverleners afgelopen nacht. De vrijwilligers van reddingsorganisatie de Witte Helmen zijn uit belegerd gebied in Zuid-Syrië gehaald. De reddingswerkers waren de afgelopen jaren vaker in het nieuws vanwege hun inspanningen voor oorlogsslachtoffers. Waarom uitgerekend zij nu met een militaire operatie uit oorlogsgebied zijn weggehaald, is niet bekendgemaakt. "Maar het lijkt toch een soort blijk van waardering", zegt correspondent Marcel van der Steen. "Na jarenlang mensen te hebben geholpen, worden ze nu zelf geholpen." De Nederlandse regering zou ook hebben geholpen bij het opstellen van het evacuatieplan voor de Witte Helmen. Hoe voor hen verblijfsvergunningen en andere papieren worden geregeld, is nog niet duidelijk. Mogelijk worden ze de komende maanden in Jordanië uitgebreid gescreend om bijvoorbeeld te kijken of ze niet zijn geradicaliseerd, zegt correspondent Van der Steen van de NOS. Nota bene, het Israëlische leger, die de terroristen beschermde en ook dagelijks Palestijnen afschiet, minderjarige kinderen in de gevangenis gooit en een totalitair regime heeft. Hoe ver kun je gaan, hoe ver kun je gaan om de ogen te sluiten en ze rebellen te blijven noemen, terwijl de meerderheid van de Syrische bevolking hen terroristen van Al-Queda noemt (de Witte Helmen). Diverse onderzoeks journalisten daadwerkelijk met vele bewijzen, aangetoond hebben dat de Witte Helmen een onderdeel van Al-Queda zijn en als klap op de vuurpijl wij ontdekt hebben, via 65 facebook profielen, dat zij aanhanger en sympathie hebben voor IS en andere terreur groepen. Deze acties zijn crimineel, crimineel tegenover de Syrische en Europese bevolking. M.n. tegenover de Syrische bevolking, omdat deze groeperingen honderduizenden mensen vermoord hebben en crimineel tegenover de Europese bevolking, omdat zij een potentieel gevaar vormen voor aanslagen en mede verantwoordlijk zijn voor de criminele daden die zij op hun naam hebben! Wie is James Le Mesurier? De voormalige Britse legerofficier en militaire aannemer die de Witte Helmen heeft opgericht, de organisatie voor burgerbescherming die uitsluitend actief is in delen van Syrië waar de zogenaamde oppositie plaatsvindt? Het is een vraag die steeds meer mensen stellen, omdat hun rol en functie steeds meer onder de loep wordt genomen. Le Mesurier draagt ​​het onvermijdelijke vleugje Britse kwaadaardige nalatenschap en geschiedenis van vuile oorlogen in zich, gevoerd in Kenia, Aden (Jemen), Ierland, Irak, Libië, met andere woorden overal waar de met bloed doordrenkte imperialistische voet van Londen de wereld rondwandelt. Een product van de prestigieuze Koninklijke Militaire Academie van Groot-Brittannië van de officiersopleiding in Sandhurst, diende hij in verschillende Britse militaire / NAVO-militaire inzet in de afgelopen drie decennia, met name Bosnië, Kosovo, Irak en Libanon. Deze beschrijving zegt genoeg, de "vuile oorlogen van Europa en ook Nederland worden in andere landen uitgevoerd en zijn in totale tegenspraak met het Internationaal Recht, wat voor de imperialistische westerse landen niet meer schijnt te gelden! In een uitgebreid artikel van 2016 (Guardian) geeft Scott Ritter, de voormalige wapeninspecteur van de VS en de VN, een verslag van de achtergrond van Le Mesurier, inclusief de tijd die hij doorbracht in en rond de duistere wereld van particuliere militaire aannemers, die de scheuren van het Westen, in bijna verloren oorlogen, voorkomen, door militaire inzet en in staat zijn om verder te werken, waar regeringen een  ongemakkelijke aanzien krijgen van de publieke controle en verantwoording, kunnen zij in het geheim verder gaan met hun doodsescaders. "De organisatorische onderbouwing van de witte helmen kan worden herleid tot een bijeenkomst in maart 2013 in Istanbul tussen een gepensioneerde Britse militaire officier, James Le Mesurier, die ervaring had in de duistere wereld van particuliere beveiligingsbedrijven en de schimmige samenvloeiing tussen nationale veiligheids- en inlichtingenoperaties en internationale organisaties - en vertegenwoordigers van de Syrische Nationale Raad (SNC) en de Qatari Red Crescent Society. Eerder die maand kreeg de SNC Syrië's zetel in de Arabische Liga tijdens een bijeenkomst van de competitie in Qatar". Deze zogenaamde civiele verdedigingsorganisatie,de Witte Helmen, ontvangt financiering van een reeks staten met een duidelijke agenda voor regimeverandering in Syrië, wat blijkt uit de materiële,financiële en politieke steun die ze hebben gegeven aan verschillende gewapende oppositiegroepen die betrokken zijn bij het conflict. In een toespraak van 2015 geeft Le Mesurier een voorbode van de wortels van het kwaad van het conflict in Syrië, te beginnen met in 2011 een "vrijwillige opstand tegen de meedogenloze dictator Bashar al-Assad", voordat hij beweert dat de Syrische staat in 2012 zijn wapens op haar eigen mensen richt. Glanzend afwezig in dit verhaal is het feit dat tegen 2012 verschillende Salafistische-jihadistische groepen, hun rangen gevuld met duizenden extremisten van buiten Syrië, door het land trokken en daarbij het "Syrische volk, het Syrische leger en zijn leden, afslachtten, verkrachtten en terroriseren. En opdat niemand het vergeten mag, is het Syrische Arabische leger niet te onderscheiden van het Syrische volk, aangezien zijn soldaten zijn afgeleid van het niet-sektarische en multireligieuze mozaïek dat de Syrische samenleving vormt. Ook op de eigen website van de Witte Helmen, duidelijk het gebrek aan neutraliteit weergeeft, ook wordt er ondubbelzinnig uitgedrukking gegeven aan geweld, met de verklaring op de voorpagina van Raed Saleh, het operationele hoofd van de organisatie en zelf een figuur van een controverse . De vatbommen waarnaar Saleh verwijst, en die door Le Mesurier worden benadrukt als uitdrukking voor de wreedheid van het 'Assad-regime',zijn volgens het internationale recht ontegenzeggelijk willekeurig en onwettig. Maar als we de verdiensten of tekortkomingen van een bepaalde partij in een bepaald conflict beoordelen op basis van alleen het gebruik van willekeurige wapens, dan is de geplande regimewijziging in Washington, Tel Aviv en Riyadh al lang geleden crimineel, ook het veramrd Urnanium wat in diverse wapens wordt gebruikt in de oorlogen van het westen, die zij steenvast aan het publiek verkopen als "vredesmissie". De brutaliteit van het conflict in Syrië is een weerspiegeling van de monumentale belangen die bij de uitkomst zijn betrokken. Het conflict is op zich al een misdaad, maar willen "ze" serieus suggereren dat Libië zeven jaar na de val van de leider Muammar Gaddafi beter is, veiliger en stabieler, dankzij ingrijpen van de NAVO en het steunen van verschillende Libische oppositiefracties, de belangrijkste onder hen Islamisten, in 2011? En zijn "ze" serieus aan het beweren dat het lot van Syrië niet het lot van Libië zou zijn in het geval van het omverwerpen van Bashar al-Assad? En ook, is iemand in staat om met een oprecht gezicht, te zeggen dat Bashar al-Assad, niet de stevige steun van de meerderheid van de Syrische bevolking heeft, die begrijpen dat het conflict niet gaat over het redden van hun regering, maar het redden van hun land? Gezien de achtergrond van Le Mesurier, samen met het bewijs over de Witte Helmen, is het redelijk om aan te nemen dat wat we te maken hebben met een "derde Kracht", die we de "schaduwregering"noemen en te vinden is in Washington, Londen, maar ook in Europese landen zoals Nederland, Duitsland en Frankrijk, die deze illegale oorlogen hebben veroorzaakt en de wereld op drift gebracht hebben, het is nu zaak dat de "goede" politieke krachten en burgers zich samen tegen de donkere krachten bundelen en zo misschien nog iets van onze cultuur, iets van onze beschavingen redden en bovenal boete zullen moeten doen tegenover de mensen, de nabestaanden, die zij op een nietsontziende manier hebben uitgemoord ! "Hij was jong en onwetend en dwaas en hij raakte erbij betrokken. Hij had geen idee meer van wie dan ook waar de hele zaak over gaat, en jij gaf hem geld en York Hardings boeken over het Oosten en zei: 'Ga je gang. Win het oosten voor democratie. ' Hij heeft nooit iets gezien wat hij niet had gehoord in een collegezaal en zijn schrijvers en zijn docenten verklaarde hem voor gek. ' Het lot van de "pseudo-journalisten" en intellegentsia in het westen! De VS (en haar NAVO coalitie) vallen het Syrische leger aan en Israël maakt veel doden in de Gaza door bombardementen – De WK een mooie afleiding! De zogenaamde (bloed -coalitie noem ik het liever) o.l.v. de VS heeft posities van het Syrische Arabische leger (SAA) op het zuidoostelijke platteland van Deir Ezzor aangevallen en heeft veel slachtoffers gemaakt zowel militair personeel als burgers. Een militaire bron zei in een verklaring dat de door de VS geleide coalitie, die afgelopen zondag een aanval uitvoerde, gericht was op de militaire posities in de stad Al-Hiri, ten zuidoosten van al-Boukamal. De nieuwe agressie komt drie dagen nadat het Syrische leger een gebied heeft bevrijd dat zich uitstrekt van de weg van Haqel al-Wared (veld van rozen,), al-M’aezleh en al-Tammah, de weg naar Ibn Muwain’e met een 40 km lange as en kamden een gebied uit, geschat op 2000 vierkante kilometer, in al-Mayadeen westelijk van Badiya. De VS en haar vazalstaten (coalitie) bondgenoten, waaronder ook Nederland, is schuldig aan de dood van burgers en miltairen om zo de terroristen van diverse terroristische organisaties te beschermen! De coalitie die nu dus militaire posities van het Syrische leger aanvalt, doet een wanhopige poging om de ingestorte moraal van de terroristische organisaties te verhogen vanwege de goede prestaties van het Syrische leger. De veldrapporten bevestigen dat Washington de Daesh-organisatie verschillende soorten ondersteuning biedt om te voorkomen dat de organisatie instort en investeert om zijn troepen illegaal op het Syrische grondgebied te houden en de economische middelen in de oostelijke regio (olie) zo te stelen via de huursoldaten van deze terroristische groeperingen (de witte helmen zijn een onderdeel van de terroristen, Al-queda, de hulp 6.6. miljoen, zijn om gewonde terroristen te verzorgen en te redden). De VS en haar coalitie (waaronder ook Nederland) heeft sinds 2014 illegale luchtaanvallen uitgevoerd tegen wat volgens haar Daesh (ISIS) doelwitten zijn zonder toestemming van de Syrische regering of een mandaat van de Verenigde Naties en is schuldig in het plegen van tientallen bloedbaden in Raqqa en de dorpen Deir Ezzor en Hasaka. Israelische gevechtsvliegtuingen hebben 9 aanvallen uitgevoerd in Gaza, als excuus wordt altijd gebruikt dat het verschillende Hamas militaire doelen vernietigd heeft als vergelding voor vermeende brandstichting pogingen en “explosieve ballonnen” die in Israël werden gelanceerd. Het excessieve geweld van bombardementen is mensonterend en een schending van de mensenrechten. “Het IDF viel zogenaamd een wapenfabriek aan die natuurlijk toebehoorde aan de wat zij noemen de terroristische organisatie Hamas in de noordelijke Gazastrook. Hebben jullie door dat als er door het Zionistische regime gesproken wordt over schending van mensenrechten, b.v. in de VN, zij alleen maar één woord gebruiken: Hamas, Hamas, Hamas, dit wordt opgevoerd als een mantra. Maar het zijn loze woorden, want Palestijnen op de Westbank worden ook zonder proces doodgeschoten of minderjarige kinderen in de gevangenis gezet! Dit alles gebeurd precies in een goed getime setting, immers de halve (zo niet de hele) wereld is in de ban van het WK in Rusland (een doorn in het oog van de schaduwregering). Het uiteindelijke doel blijft de wereld overheersing en het uitroeien van alle ongewenst personen (armen) op de wereld. Geplaatst op juni 18, 2018 juni 18, 2018 Categorieën ISIS/DAESH, Israël, Rusland/ Russia, Syrië, the Netherlands, US - Amerika, Verenigde Naties (UN), Witte HelmenLaat een reactie achter op De VS (en haar NAVO coalitie) vallen het Syrische leger aan en Israël maakt veel doden in de Gaza door bombardementen – De WK een mooie afleiding! Gisteren ochtend vroeg is het dan gebeurd, de dreigende taal van de criminele westerse bende, die zichzelf politici noemen. Ook de westerse MSM speelde er leuk op in, met veel Hollywood achtige scenes, er wordt nog geen NETFLIX docu van gemaakt, die hebben ze al de Witte Helmen. Die zijn het precies die i.s.m. de VS, VK, Frankrijk en de rest van de westerse wereld deze soap op touw gezet hebben. Met groeiende verbazing heb ik de show gezien bij de VN, waar elke westers land, Syrië graag wilde bombarderen, weg met democratie en vredes gedachte! Ja want het “monster” Assad heeft zeker zijn eigen bevolking (lees kinderen, die weer eens als slachtoffer gebruikt zijn) vergiftigd! Assad moet echt wel niet geod snik zijn als hij dat doet, net nu hij dezelfde burgers die hij vergiftigd zou hebben bevrijd heeft van ja…je voelt hem al aan komen de Witte Helmen, want dat is Al-Queda i.s.m. Jays-al-islam, die samen de burgers al jaren gegijzeld hebben in Oost-Ghouta, ook trouwens in Oost-Aleppo. Elke keer als ze verliezen komt er een gifgas aanval! Terugkomend op deze westerse criminele landen, die ZONDER bewijs, vlak voordat de OPCW arriveert gaan bombarderen. Crimineel, een schande, druist tegen elk principe in van wat ooit de VN was (beter om af te schaffen het is een Westerse rotzooi van criminelen bij elkaar die zogenaamd democratie, vrede , vrijheid propaganderen). Ze gaan zomaar een Souverein land aanvallen, wat ook nog eens indruist tegen het Internationaal recht, maar ja dat lappen ze al jaren aan hun laars, denk aan het illegaal bombarderen van Joegoslavië, de moordende roversbende in Irak, waar ze zoveel burgers uitgemoord hebben dat ze alles wel moeten verbloemen, Libië erger kan het niet.. Of toch wel? Syrië? Ik denk persoonlijk dat ze vast zitten en de wereld hun criminele activiteiten nu gaan zien (de burgers)! Want crimineel zijn ze, dat staat als een paal boven water, voor alle burgers van de wereld..Zo zwart wit denken? Ja dat doe ik en vele anderen, want al zouden er een paar goede politici zijn (in de westerse wereld) dan houden ze braaf hun mond, bang voor hun baantje, in Nederland het CIDI, de NAVO, Shell enzovoort! (Reuters) Duitsland zal vandaag in Londen een ontmoeting hebben met Frankrijk, Groot-Brittannië en de Verenigde Staten om hun volgende stappen te bespreken na luchtaanvallen tegen Syrië, zaterdag, zei de Duitse minister van buitenlandse zaken, Heiko Maas (een Zionist pur sang) . De besprekingen zullen in de Britse hoofdstad worden gehouden om verdere acties te coördineren, vertelde de minister aan journalisten in Berlijn. Duitsland is van plan samen te werken met Frankrijk voor het creëren van een nieuw internationaal formaat dat een nieuwe impuls zou kunnen geven aan het politieke proces in Syrië, zei Maas. De minister voegde eraan toe dat Berlijn zijn bilaterale banden zou gebruiken om ervoor te zorgen dat Rusland een “constructieve” houding aanneemt ten aanzien van deze kwestie, aldus Reuters. Dus ze gaan Rusland onder druk zetten en chanteren, niets nieuws onder de zon dat doen ze al sinds 2007 en in hevige mate sinds 2015! Echt een criminele bende en helaas zijn ze nog aan de macht, ik hoop van harte dat Syrië het keerpunt wordt en ze allemaal verslagen worden, ik weet dat het zeer a- polititiek klinkt, maar dat is de schuld van deze maffia praktijken die zij zonder blikken of blozen dagelijks verkondigen! We zullen zien en wachten af! Huiver en Griezel, onthoofdingen van de geliefde westerse rebellen zijn vergeten! Vergelijk een “rebel”met een inwoner uit Ghouta! Foto’s uit Douma, zogenaamd een gifgasaanval, zeker dan ga je met “blote”handen (de dokter) aan het kind zitten, handig met chloor toch? De hele westerse wereld, d.w.z. de politiek en MSM (media) huiveren over de chemische aanval, het is zo erg al die kinderen, een propaganda tool die al 7 jaren in dit smerige conflict gebruikt wordt, gesteund door het westen! Het is zo droevig dat de WHO en Save the Children, zeggen dat er minstens 500 kinderen vergiftigd zijn.. Waar halen ze in godsnaam deze info vandaan? Niet uit het gebied zelf, daar komen ze niet in, dus ja de bron: de Moslimbroeder in Coventry (SOHR) en hun geliefde rebellen. Vandaag hebben ze ook het lef om te schrijven dat er een propagandaoorlog van de Russen is. Diegene die propaganda voeren is de westerse MSM, de westerse politiek die nemen gretig aan dat er kinderen in het spel zijn en verafgoden de Witte Helmen, ordinaire Al-Queda terroristen, die populair waren op Netflix en ik benadruk het maar weer eens een (brievenbus) organisatie/stichting hebben in Amsterdam, de May-day Foundation. Maar eigenlijk weet niemand wat er gebeurd is, de Russen en het Syrische leger kunnen geen bewijzen vinden, waar wel bewijzen voor zijn is de vele onthoofdingen, hieronder zie je wat vergelijkinsmateriaal, Voltaire net heeft het goed beschreven! Hoe onderscheid je een “gematigde rebel” van Ghouta met een gewone inwoner van Ghouta? Het enige wat je hoeft te doen is te zien dat ze in goede gezondheid zijn, goede kleding hebben, vergelijk dit met de uitgemergelde beelden die het westen in haar propaganda laat zien, dan heb je het antwoord en de waarheid. Het Syrische Arabische leger heeft net ontdekt dat in Irbine, een gebied in het bevrijde Ghouta, een grote voorraad levensmiddelen lag en een (nood) ziekenhuis dat zeer goed was uitgerust. De NGO’s van de VN en humanitaire hulporganisaties hebben echter steeds beweerd dat het “regime” de bevolking heeft gedood en de toegang tot de gezondheidszorg heeft ontzegd. Paradoxaal toch dat de bevolking op sterven na dood is en de “rebellen”goed gevoed waren en medische voorzieningen hadden! Het Syrische Arabische leger is ander gebieden van Ghouta binnengetrokken die ook nog onder controle stonden ​​van de ‘gematigde rebellen’ de NAVO en VS huurlingen zoals ik ze liever noem. De bevestiging dat ze gesponsord worden door bovengenoemde is te zien aan een enorm netwerk van tunnels in de gebieden van Ghouta. Het bevat een mega-corridor van 4 x 4 en vrachtwagens konden af en aan aanrijden om de “rebellen” te bevoorraden van wapens, eten medicijnen ed., terwijl ze de burgers als slaven gebruikte en als je niet meewerkte of de pech had als Alawieten of Christenen geboren te worden, je gewoon in kooien werd opgesloten en als menselijk schild gebruikt werd! De Westerse pers verzekert haar burgers van de “democratische vrije landen in het westen” dat de families die vanuit Ghouta geëvacueerd worden naar Idlib echt “gematigde rebellen” waren. Toch is het een feit dat toen de meeste strijders geëvacueerd werden, gemaskeerd aan boord gingen in de bussen die voor hen klaarstonden, georganiseerd door het “vreselijke regime en het dier Assad”! Toen sommigen zonder hun maskers verschenen, werden ze herkend, door de daar aanwezige pers, de alternatieve pers zoals ze ons noemen (de propaganda spreekbuis is ook een goede, maar wij zijn daadwerkelijk daar, er is daar geen NOS, NU, NRC, BBC, CNN of andere spreekbuizen van de Westerse politici). Herkend zijn de mannen op de foto’s hieronder! Kijk eens goed naar onderstaande foto’s en bekijk de twee mannen uiterst links op de bovenste foto, de één met de kalachnikov en de andere met het hoofddeksel. Geplaatst op april 12, 2018 april 12, 2018 Categorieën Bana het Twittermesije, Deep State - Schaduwregering, ISIS/DAESH, Nepnieuws, Syrië, Verenigde Naties (UN), Witte HelmenLaat een reactie achter op Huiver en Griezel, onthoofdingen van de geliefde westerse rebellen zijn vergeten! Vergelijk een “rebel”met een inwoner uit Ghouta! De oorlogstaal van het westen en oorlogsdaden in het midden-oosten zullen nu beantwoord worden! Jarenlang konden de VS en haar” partners in crime”, de Europese landen zoals, het VK, Frankrijk, Duitsland, Nederland, Israël en België er mee weg komen, maar nu is het tij gekeerd! Ze zijn letterlijk over hun eigen “rode lijn” gestapt en dreigen nu met bombarden van heel Syrië, het meeste is al verwoest, speciaal Raqqa door de VS en haar “zogenaamde colaitie”. Maar nu is de Russiche beer kwaad echt kwaad, ook China en Iran hebben genoeg van deze psychopaten, die alleen op oorlog uit zijn..helaas als het echt doorgaat, zullen we allemaal getroffen worden, laten we hopen dat er nog enig gezond verstand in deze psychopaten, die de VS, Israël en Europese regeringen beheersen. Gestoord en gek zijn ze, gevaarlijk gek, zelf hebben ze het waarschijnlijk niet in de gaten en proberen het of te negeren of gaan gewoon vrolijk verder, met hun oorlogsmisdaden, bovenstaande “collage” geeft wel aan hoe erg ze hebben het gemaakt en het kan alleen maar tot een climax leiden, waar er een totale oorlog komt, of zoals wij mensen met gezond verstand hopen een echte oplossing en boete doening ! Alle andere wegen zijn dicht! Bashar Ja’afri is de Ambassadeur bij de VN voor Syrië en ligt constant onder vuur, zoals je, je wel kan voorstellen! Het volgende heeft hij te zeggen, een boodschap aan Europa en de VS, misschien wel één van de laatste, maar we gaan nog steeds van het “gezond verstand”uit, anders is de mensheid verloren! We hebben aan de leden van de Security Council tientallen brieven gestuurd, waarvan zoals die van 21 februari 2018 (S / 2018/152), http://www.voltairenet.org/article199959.html over de moordpartijen op de Syrische bevolking, die de zogenaamde internationale coalitie heeft gepleegd. In aansluiting op deze brieven zou ik u willen meedelen dat deze coalitie, geleid door de Verenigde Staten van Amerika, op zondag 25 februari 2018 twee bloedbaden aangericht heeft onder de Syrische burgers toen zij met gevechtsvliegtuigen burgers gedood hebben in de dorpen van Sha’fah en Zahrat Alluni op het oostelijke platteland van het gouvernement Dayr al-Zawr, waarbij 29 burgers omkwamen en tientallen anderen zwaar gewond raakten, waarvan de meerderheid uit vrouwen en kinderen bestond. De bombardementen hebben ook de huizen en eigendommen van burgers beschadigd, evenals de infrastructuur van de dorpen. De coalitie blijft bloedbaden op het Syrische volk plegen. Inderdaad, het aantal bloedbaden is nu ontelbaar. De coalitie blijft ook de restanten van de Islamitische Staat in Irak en de Levant ondersteunen en probeert deze te hergroeperenen te gebruiken als separatistische proxy-milities van de Verenigde Staten in de provincies Hasakah, Raqqa en Dayr al-Zawr. Dergelijk gedrag bevestigt dat het enige doel van deze coalitie, die al jarenlang het internationale recht negeert, is om de soevereiniteit en territoriale eenheid en integriteit van de Syrische Arabische Republiek te ondermijnen en de Syrische crisis te verlengen. De Syrische Arabische Republiek roept de Veiligheidsraad op zijn verantwoordelijkheid te nemen om de internationale vrede en veiligheid te handhaven en onmiddellijk actie te ondernemen om een einde te maken aan de oorlogsmisdaden en misdaden tegen de mensheid die de coalitie plegen in naam van democratie en vrijheid jegens het Syrische volk . De Raad moet ook actie ondernemen om een einde te maken aan de illegale aanwezigheid van Amerikaanse troepen op Syrisch grondgebied en de Verenigde Staten verhinderen om zijn plannen uit te voeren om de Syrische Arabische Republiek op te splitsen, net als destijds gebeurd is bij Joegaslavië, Irak, Afghanistan en Libië en deze landen leeg te plunderen. Het is absoluut noodzakelijk dat de Raad dit nu doet, evenals de misdaden die de Verenigde Staten hebben begaan in de vernietiging van Raqqa en zo de ware aard van het beleid van de Amerikaanse regering hebben onthuld. Raqqa is kapot, de burgers zijn kapot, dood, vermoord door Amerikanen en Europeanen. Eens een bloeiende stad is zo verwoest dat Dresden er niets bij was. Het ergst van het verhaal is Amerika en haar bondgenoten weigeren het op te bouwen, de paar miljoen die zij met een groots gebaar schenken is druppel op een gloeiende plaat. Doden liggen onder de puinhopen van de stadt. Een grove schending en oorlogsdaad die berecht moet worden door onafhankelijk recht, niet die van het ICC en de VN, die zijn partijdig. Afgelopen dinsdag 20 maart 2018, voerden gewapende terroristische bendes een nieuw gruwelijk bloedbad uit, tegen burgers op de openbare markt van Kashkul in Jaramana vlakbij de stad Damascus, toen ze een dodelijke raket lanceerden tegen vrouwen en kinderen vanuit hun posities in Oost-Ghouta. Die misdaad resulteerde in de dood van 44 burgers en tientallen gewonden, van wie de meestenog steeds in kritieke toestand verblijven. Daarnaast hebben deze raketten gelanceerd door de terroristen ook dichtbevolkte gebieden van de stad Damascus getroffen waar meer dan 10 mensen gewond raakte in de wijk Imarah. Er is veel geschreven en gezegd over Syrië, in het westen de officiële versie: het is een burgeroorlog, omdat het Syrische volk opstond tegen de regering van president Assad. De Syriërs, Russen e.a., hebben het bewijs dat er geen sprake is van een burgeroorlog, het is een oorlog, gevoerd en gesponsord door het westen, die onder invloed van de VS “Regime Change”roepen en daarmee eigenlijk de ondersteuning en het vernietigen van Syrië en het Midden-Oosten, toestaat en zodoende zich indirect schuldig maken aan imperialisme en geopolitieke veranderingen, als leidraad altijd de VS, die deze praktijken sinds WO II bedrijven. Er was een vreselijke droogte sinds 2010 in het oostelijke deel van Syrië, de mensen in Hasaka / Da’ara hielden spontane demonstraties, om hun aandacht te richten op deze vreselijke droogte voor hen. Onder de demonstranten waren veel leden van de Moslim Broederschap en andere islamisten, ze zagen hun kans en benutte de situatie en begonnen een gewelddadige gewapende opstand, door het doden van soldaten en burgers..Ze zeiden dat de soldaten van de overheid hen vermoorden en President Assad’s regering een vreselijk regime was! De stad Dara’a, in de buurt van de Jordaanse grens, was het epicentrum van de protesten die het begin van de anti-regerings sentimenten, eigenlijk het toneel van een gewelddadige terroristische opstand , de oorzaak was uitgegroeid als gevolg van een recente toestroom van boze en wanhopige families onteigend door wat een deskundige noemde “de slechtste langdurige droogte en meest ernstige reeks van misoogsten sinds de agrarische beschavingen begonnen in de Vruchtbare Halve Maan vele millennia geleden”. President Assad probeerde de situatie te kalmeren door hoge regeringsfunctionarissen met familieachterban in de stad te sturen, medeleven en zijn persoonlijke betrokkenheid bij degenen die verantwoordelijk waren voor deze gewelddadige opstand en dit te benadrukken. Hij ontsloeg de provinciale gouverneur en een generaal van de politieke veiligheidsmacht, voor hun slechte rol, het niet onder controle kunnen houden van geweld. Assad heeft dus gevangenen vrijgelaten, waar het westen om vroeg, deze waren allen Moslimbroeders en berucht om aanslagen en moordpartijen, amar het westen wilde dit, na we nu weten om het te trainen en zo o.a. Al_Queda, IS en andere moordbrigades te versterken, ook werden door de Amerikanen zelf ex-Al-Queda getraind om zo later IS te vormen. Die binnen 24 uur, met behulp van de Amerikanen en NATO Syrië en Irak veroverderden, bloedbaden aanrichtte onder Irakezen en Syriërs! Verder: Tegelijkertijd echter, volgens een ander rapport, doodde onbekende schutters in Dara’a 19 Syrische militairen. De sociale media heeft een zeer slechte rol gespeeld in de zogenaamde opstand die beweerde dat er vele doden waren, dat was echt niet in verhouding met de situatie op de grond, nogmaals, de islamitische Moslim Broeders en andere islamisten, die zich zouden verenigen in Al-Qaeda en andere Jihadistische groepen profiteerden naar eigen zeggen op sociale Media van de situatie. Ondertussen hadden de protesten zich verspreid naar andere steden, gevoed door de sociale media campagnes (gesponsord vanuit de VS en EU). Tegen eind april 2011, hadden regeringstroepen ,volgens hen, honderden demonstranten gedood. Waarvan tot op heden geen bewijs van te vinden is, geen andere dan de nieuwssite’s en sociale media accounts ..van henzelf! Een ander voorbeeld: In het begin van april van datzelfde jaar, werden er negen Syrische soldaten op weg naar deze demonstraties in Banyas, overvallen en neergeschoten op de snelweg buiten de stad. Westerse media hebben gesuggereerd dat ze werden gedood door Syrische veiligheidstroepen voor het weigeren om het vuur op de demonstranten te openen, een fantasievol verhaal dat werd geanalyseerd en ontkracht door Professor Joshua Landis, directeur van het Centrum voor Midden-Oosten Studies aan de Universiteit van Oklahoma. Wat we wel zeker weten is dat op 25 april 2011, negentien Syrische soldaten in Dara’a neergeschoten werden door onbekende aanvallers. De namen, leeftijden, data van geboorte en dood, de plaats van geboorte en dood en burgerlijke / ouderlijke status van deze 19 soldaten zijn gedocumenteerd in een lijst van militaire slachtoffers na te lezen in het ministerie van Defensie Syrië. De lijst werd bevestigd door een ander document – die door een niet-gouvernementele bron betrokken bij de vredesinspanningen deze gedocumenteerd heeft . Alle 19 namen werden geverifieerd door deze tweede lijst. Maar nog meer verrassend dan eigenlijk het vinden van de 19 Dara”a soldaten op deze lijst, was de ontdekking dat er in april 2011, achtentachtig soldaten waren gedood door onbekende schutters in verschillende gebieden in héél Syrië. Houd in gedachten dat het Syrische leger meestal niet aanwezig was in het begin van het conflict. Andere veiligheidsdiensten, zoals de politie en de inlichtingendiensten groepen waren aan de frontlinies – en zijn niet opgenomen in deze doden aantallen. De eerste Syrische soldaten die werden gedood in het conflict: Sa’er Yahya Merhej en Habiel Anis Dayoub, werden gedood op 23 maart in Daraa. Twee dagen na die eerste militaire slachtoffers, werd Ala’a Nafez Salman in Latakia neergeschoten. Op 9 april werd Ayham Mohammad Ghazali doodgeschoten in Douma, ten zuiden van Damascus. De eerste soldaat gedood in Homs provincie – in Teldo – was op 10 april Eissa Shaaban Fayyad, hij werd neergeschoten. 10 april was ook de dag dat we gehoord hebben van het eerste bloedbad van de Syrische soldaten – in Banyas, Tartous – toen negen soldaten werden overvallen en neergeschoten door schoten uit een passerende bus. De BBC, Al Jazeera en de Guardian alle aanvankelijk citeerde getuigen die beweerde dat de dode soldaten “overlopers” waren en neergeschoten door het Syrische leger voor de weigering om op burgers te schieten, dit was volkomen absurd . Dan gaan we naar de meest gênante beweringen van de westerse politiek, gevoed door de VS, in de Amerikaanse regering, waren volgens vele bronnen, Moslimbroederschap adviseurs (onder Obama, waar tegen het verdacht is dat hij zelf een Moslim is), het adviseren van de regering van de VS op buitenlandse beleid in het Midden-Oosten. Jisr al-Shughour (ook Jisr ash-Shugur, Arabisch جسر الشغور) is een stad van rond de veertig duizend inwoners in de provincie Idlib, ongeveer 30 kilometer van de Turkse grens. Het is bekend om zijn conservatieve soennitische bevolking met een sterke Moslimbroederschap aanwezigheid en is de plaats van een bloedbad in 1980 in dezelfde opstand van het beroemde Hama bloedbad (onder Hafez al-Assad, Bashar al-Assad heeft hier dus niets mee te doen, de Moslimbroeders spelen een fatale rol in Syrië, zij zijn extreem gewelddadig en net als ISIS kunnen zij alleen met geweld bestreden worden, zelfs de meest pacifistische mens moet dit kunnen beamen, zij staken het Baath-partij hoofdkwartier in brand, als gevolg veel slachtoffers. (Wikipedia). In het begin van juni 2011, toen de wreedheden op de schaal van nu, gemeengoed, gebeurde er een ander bloedbad. 120 veiligheidsleden en een onbekend aantal burgers verloren hun leven. In de nasleep, vluchtten de meeste van de bewoners de stad, naar Aleppo en andere steden in de buurt, maar enkele duizenden over de Turkse grens, dit is de oorzaak van de eerste golf van vluchtelingen en de eerste kampen werden opgezet voor hen in het buurland, in een tijd waarin het aantal doden in de crisis werd geschat op ongeveer 1.000 mensen. Het aantal leden van van veiligheidsdienst en burgerslachtoffers die gedood werden is algemeen aanvaard door alle commentatoren, alleen de redenen verschillen. Volgens officiële overheidsbronnen, kwamen terroristische groeperingen in de stad met behulp van de overheid auto’s en het dragen van de militaire uniformen, filmde zichzelf terwijl zij de veroorzakers waren van de algemene ravage en het opzetten van meerdere hinderlagen. Verkleed als soldaten en veiligheidstroepen, die zij bij de aanval op het hoofdkwartier gestolen hadden. Volgens de oppositie bronnen, was er inderdaad een muiterij gebeurd en sommige van de slachtoffers waren overlopers neergeschoten door hun collega’s omdat ze weigerden te schieten op vreedzame demonstranten, terwijl anderen werden gedood door een woedende menigte als vergelding voor de aanvallen op burgers. Als Landis (Landis bron) concludeerde: “Westerse pers en analisten willen niet erkennen dat er gewapende actieve elementen aanwezig waren”. Zij gaven de voorkeur aan een eenvoudig verhaal van goede mensen die vechten slechte mensen die vertellen. Men vraagt zich af waarom alleen dat verhaal niet kon worden verteld zonder ook over de werkelijkheid -. Dat de gewapende elementen, waarvan de agenda niet vreedzaam was, een rol speelde . Hij beschuldigde ook de westerse druk op dezelfde onjuiste aangiften om een een bloedbad te voorkomen van de regering en veiligheidstroepen in het begin van juni 2011, in de stad van Jiser al-Shagour – een Moslim Broederschap bolwerk in de buurt van de Turkse grens – waarbij ongeveer 140 leden van de politie en de veiligheidsdiensten werden afgeslacht. De aandacht moet worden gevestigd op het feit dat de vertegenwoordigers van de staten die normaal zo snel spoedbijeenkomsten van de Veiligheidsraad in New York bijeenroepen en de Mensenrechtenraad in Genève ter ondersteuning van de terroristen hebben bij deze gelegenheid, zoals nu gebruikelijk is geworden, hun redeneervermogen opzij geschoven en hun tong geslikt in het gezicht van de catastrofale gruwel van dit nieuwe bloedbad, dat kinderen en vrouwen tot slachtoffers en stijgt tot het niveau van een genocide, een oorlogsmisdaad en een misdaad tegen de mensheid. Het zou niet langer moeten verwonderen dat de vertegenwoordigers van de Verenigde Staten van Amerika, Frankrijk en Groot-Brittannië hun mond zouden moeten sluiten, die al geruime tijd niets meer zijn dan megafoons voor het ondersteunen van terrorisme en het rechtvaardigen van terroristische misdaden. Syrië benadrukt dat dit systematische gedragspatroon van de vertegenwoordigers van die staten en hun volmachten en cliënten geen enkel besef van de mensheid kent. Er is geen enkel spoor van een morele dimensie in hun beleid. Ze hebben ook het geringste bewustzijn verloren van de waarden van internationaal recht en internationaal humanitair recht, omdat ze directe steun verlenen aan gewapende terroristische groeperingen door ze te financieren, te bewapenen en hun misdaden in internationale arena’s te verdedigen. Gedurende de jaren van deze terroristische oorlog ertegen, heeft de staat Syrië zijn recht verdedigd om zijn bevolking te beschermen en het bloedvergieten te stoppen. Het heeft alle opoffering en moeite gedaan om Syrië, de regio en de wereld te ontzien van de bloedbaden die de terroristen begingen. Zoals het in het verleden heeft gedaan, roept Syrië vandaag op tot beëindiging van deze terroristische daden. Het roept ook de staten die de terroristische bendes in dienst nemen, financieren en bewapenen, inclusief het Wahhabi Saoedische regime en het regime van Qatar, op om dit onverwijld te doen. Syrië doet ook een beroep op de lidstaten van de Verenigde Naties om zich te houden aan de waarden van het Handvest, dat het doel benadrukt van het redden van de volkeren van de wereld tegen de gesel van oorlog. Syrië roept de lidstaten op om de ware doelstellingen van deze oorlog van de koloniale staten, hun volmachten en hun terroristen tegen het volk en het land van Syrië bloot te leggen. Nu zijn we aanbeland op een kruispunt, er zijn 2 wegen die van vrede of nog meer escalatie..De keuze is aan de politici, de westerse MSM en de bevolking. Willen we een escalatie, oorlog? Misschien zit de mensheid zo in elkaar, maar laten we hopen dat goed komt, al vrees ik het ergst! Geplaatst op april 11, 2018 april 11, 2018 Categorieën Afghanistan, Amerika, Deep State - Schaduwregering, Duitsland, EU, ISIS/DAESH, Israël, Libanon, Libië, NATO, palestina, Politiek/politics, Rusland/ Russia, Saoedi Arabië, Syrië, the Netherlands, Verenigde Naties (UN)Laat een reactie achter op De oorlogstaal van het westen en oorlogsdaden in het midden-oosten zullen nu beantwoord worden! Opeens klapt er iemand uit school, vooralsnog gedeeltelijk, Marco Kroon een marinier, geeërd door Willem-Alexander, gaat doodleuk beweren dat hij iemand vermoord heeft in een zogenaamd safe-house, in Kabul, Afghanistan, 2007. Afghanistan de oorlog, begonnen door de grootste crimineel George Bush Jr., in 2001, zogenaamd waren ze betrokken bij de aanslag op het World Trade Centre, niemand heeft het over de werkelijke daders uit Saoedie Arabië, of de werkelijke toedracht! Afgedaan als complotverhalen! Maar wat er daar gebeurd is uit naam van oorlog tegen het terrorisme is gewoon gruwelijk. Vele NATO soldaten hebben bloedbaden aangericht samen met de VS. Afghanistan een arm land teruggezet in de middeleeuwen en bezet door NATO en VS. Een beerput van dood en verder, hieronder een samenvatting van de vele misdaden die er gepleegt zijn en met name uit 2007, toen Marco de man in het Safe house vermoordde (soort Homeland). Als je het overzicht leest en het te veel wordt, bedenk dan maar dat het alléén 2007 betreft. De westerse regering, toen ook o.l.v. Premier Rutte, hebben zich schuldig gemaakt (alweer) aan volkerenmoord, door een oorlog te beginnen of ondersteunen in Afghanistan. In januari en februari 2007 hebben Britse Royal Marines Operatie Volcano opgezet om opstandelingen op te ruimen van vuurpunten in het dorp Barikju, ten noorden van Kajaki. Dit werd gevolgd door Operatie Achilles, een groot ingrijpend offensief dat begon in maart en eindigde in eind mei. Op 4 maart 2007 werden ten minste 12 burgers gedood en 33 gewonden door Amerikaanse mariniers in het Shinwar-district van de provincie Nangrahar in Afghanistan toen de Amerikanen reageerden op een bommenwerper met buitensporig geweld, en groepen van omstanders langs 10 raakten. mijl (16 km) van de snelweg met machinegeweer vuur. Het is bekend geworden als het Shinwar-bloedbad. De 120 leden tellende Marine-eenheid die verantwoordelijk was voor de aanval werd gevraagd het land te verlaten omdat het incident de relaties tussen de eenheid en de lokale Afghaanse bevolking beschadigde. Britse en ISAF-troepen bleven vechten tegen de Taliban, die het Sangin-district van de provincie Helmand belegerde sinds juni 2006 tot april 2007. Een gecombineerde operatie van Afghaanse, Britse, Canadese, Deense, Estse en Amerikaanse troepen verwijderden de Taliban van Sangin, en de Afghaanse regering kon terugkeren. Talibankrachten waren echter nog steeds in de omliggende gebieden. Op 1 mei verving de Britse majoor-generaal Jacko Page de Nederlandse majoor-generaal Ton van Loon als ISAF Regional Commander South. Op 12 mei 2007 vermoordden alleen ISAF Special Forces en VS-strijdkrachten, (Willo Calzada, (nu Ret. ), James Brown, Billy Orson), International Security Assistance Forces (ISAF), Mullah Dadullah, een beruchte Taliban-bevelhebber die de leiding had over het leiden van operaties in het zuiden van het land; elf andere Taliban-strijders werden gedood in hetzelfde vuurgevecht. (je kunt de reconstructie terugzien in de serie Homeland). Operatie Achilles eindigde op 30 mei 2007 en werd onmiddellijk gevolgd door Operation Lastay Kulang die nacht. Het Nederlands leger schoot op de Taliban in Chora. firing on Taliban in Chura. June 16, 2007. Photo by David Axe. De Slag om Chora vond plaats in en rond de stad Chora (3.000 inwoners), in de provincie Orūzgān, tussen 15 juni en 19 juni 2007. Het was een strijd tussen voornamelijk Nederlandse en Australische ISAF en Afghaanse troepen aan de ene kant en de Taliban-troepen aan de andere kant voor de controle over het Chora-district dat door de Taliban als een zeer strategisch gebied wordt beschouwd. Deze strijd bleek het grootste Taliban-offensief van het jaar in Afghanistan te zijn en resulteerde in de dood van meer dan 250 mensen in slechts drie dagen. Op 18 juni trokken de Taliban-troepen zich terug en vluchtten de bergen in, waardoor de stad zwaar beschadigd werd, maar in de handen van ISAF. Talibanstrijders lanceerden op 8 augustus een directe aanval op een Amerikaanse en Afghaanse coalitiebasis met codenaam Firebase Anaconda. De Taliban-aanval werd afgeslagen, waarbij minstens twee dozijn Taliban-jagers werden gedood. Op 28 augustus 2007 werden ten minste 100 Taliban-strijders en een Afghaanse soldaat van het nationale leger om het leven gebracht tijdens verschillende schermutselingen in het district Shah Wali Kot in de provincie Kandahar. Op 28 oktober 2007 werden ongeveer 80 Taliban-strijders gedood in een zes uur durend gevecht met troepen van de door de VS geleide coalitie in de Afghaanse provincie Helmand. Tijdens de laatste dagen van oktober omringden de Canadese strijdkrachten ongeveer 300 militanten in de buurt van Arghandab en doodden er minstens 50. Dit zou een mogelijk Taliban-offensief op Kandahar hebben gestopt. De sterkte van de Taliban-troepen werd geschat door Westerse functionarissen en analisten op ongeveer 10.000 strijders, volgens een rapport van 30 oktober in The New York Times. Van dat aantal zijn “slechts 2.000 tot 3.000 zeer gemotiveerde, opstandelingen”, meldde de Times. De rest bestaande uit vervreemde, jonge Afghaanse mannen die boos zijn op bombardementen van de VS of vechten om geld te krijgen. In 2007 kwamen meer Afghaanse strijders dan ooit tevoren naar Afghanistan, volgens functionarissen van de Afghaanse en Amerikaanse autoriteiten. Naar schatting 100 tot 300 strijders zijn buitenlanders, meestal uit Pakistan, Oezbekistan, Tsjetsjenië, verschillende Arabische landen en misschien zelfs Turkije en West-China. Ze zijn doorgaans fanatieker en gewelddadiger en brengen vaak vaardigheden mee, zoals het vermogen om meer geavanceerde video’s op het internet te plaatsen of expertise op het gebied van bommen maken. Maar wat is 300 tegenover het NATO of VS leger kun je je af vragen en de bewapening ook! Eind oktober 2007 lanceerde het regionale commando-noorden samen met het Afghaanse nationale leger en de Afghaanse nationale veiligheidstroepen zijn eerste grote operatie tegen vijandige troepen in de noordelijke provincies. Het bestond uit ongeveer 2000 coalitietroepen uit Afghanistan, Noorwegen, Duitsland, Italië, Spanje en Hongarije en het doel was Taliban-militanten van verschillende locaties in het district Ghowrmach, Faryab P, af te zetten. Het belangrijkste element van de inzet van Australië voor Afghanistan was een 400-koppige sterke Reconstruction Task Force (RTF) verbonden aan het door Nederland geleide Provincial Reconstruction Team (PRT), Task Force Uruzgan, in Uruzgan, Afghanistan. Ongeveer 700 medewerkers van de Canadian Forces waren operationeel in Afghanistan in 2007, voornamelijk in de zuidelijke regio van Afghanistan. Het Canadese contingent, gevestigd op Kandahar Airfield, omvatte een infanteriebatalgroep, bestaande uit (naast zijn infanteriebedrijven) eenheden van gepantserde verkenning, tanks, artillerie en ingenieurs van bedrijfsformaat. De gevechtsgroep werd ingezet in verschillende operationele bases. Het leverde ook de Kandahar PRT op, inclusief een infanterie gesecialiseerd (privé ondernemeningen zoals Blackwater) bedrijf, en een operationeel mentorschap en verbindingsteam (OMLT) om het Afghaanse leger en de politie te trainen en te onderhouden. Een klein maar belangrijk team van Canadese officieren leverde een bijdrage aan het ‘Strategisch Adviseerteam’ in Kabul en aan de toenmalige Afghaanse regering en assisteerde het bij het beheer van alle afdelingen en programma’s. In augustus 2007 verving het 3e Battalion Royal het 22e Régiment Battle Group van het Royal Canadian Regiment en vormde de ruggengraat van een contingent voornamelijk uit Valcartier, Quebec, dat alle manoeuvreerelementen leverde, het OMLT-team van 150 trainers voor de ANA Kandaks en de meesten van de militaire elementen van het Provincial Reconstruction Team (PRT). B Squadron Lord Strathcona’s Horse (Royal Canadians) uit Edmonton, uitgerust met vijftien Leopard C2-tanks, voegde zich bij de Canadese gevechtsgroep om Canadese operaties te ondersteunen. De voormalige Duitse Leopard 2A6M-tanks waren vanaf september 2007 operationeel in Afghanistan (nu vernieuwd ein Afrin, toen Afghanen vermoorden nu Koerden). B Squadron is een samengestelde subeenheid bestaande uit troepen van elk van de drie reguliere gepantserde regimenten van Canada. Tussen 400 en 600 Deense strijdkrachten werden in Afghanistan ingezet door het Koninklijke Deense leger, meestal in de provincie Helmand, waarvan het merendeel zich op Camp Bastion bevond, met uitzondering van ongeveer 50 DDF-personeel dat dienst deed bij verschillende militaire en civiele organisaties. Had meer dan 100 grondtroepen actief in Afghanistan in 2007, ter ondersteuning van de NAVO-troepen in het zuiden. Ongeveer 1100 personeelsleden werden ingezet in Kabul als onderdeel van ISAF. Zes Franse Mirage 2000D (de Fransen altijd in voor een oorlog, denk aan de verwoesting van Libië) close air support-vliegtuigen en twee C-135F-tankvliegtuigen waren gevestigd op de luchthaven van Dushanbe, Tadzjikistan, maar verhuisden op 26 september 2007 naar Kandahar; van daaruit voeren ze operaties uit ter ondersteuning van alle coalitietroepen. Een gemengde eenheid van tweehonderd marine, luchtmacht en het leger van speciale strijdkrachten bevond zich in het zuiden van Afghanistan in het begin van 2007. De Duitse bijdrage aan ISAF (3.500 soldaten spant de kroon, maar ja de Duitser bekend om hun vechtlust over de eeuwen heen, deinzen er niet voor terug om Afghanen te vermoorden, wist je dat er op hun leopardtanks nog het ijzeren kruis staat afgebeeld? ), waren voornamelijk actief in het noorden van Afghanistan. Om coalitiegevechtsoperaties in heel Afghanistan te ondersteunen, heeft de Duitse luchtmacht Panavia Tornado-verkenningsvliegtuigen ingezet van Aufklärungsgeschwader 51 (51st Reconnaissance Wing), gestationeerd in Mazar-i-Sharif, Noord-Afghanistan. Hongarije had meer dan 200 soldaten wijd in Afghanistan onder de ISAF. De meesten van hen steunen de noordelijke provincies in PRT Pol-e Khomri. Nederland had 1.400 (best veel voor een klein landje, waar een klein land niet groot in kan zijn toch?) troepen in de provincie Uruzgan in het zuiden van Afghanistan in Tarin Kowt (1.200), in Kamp Holland, en Deh Rahwod (200) van eind 2006 en tot en met 2007. De soldaten van Task Force Uruzgan waren meestal afkomstig van het 12 Infanteriebataljon Regiment Van Heutsz (Air Assault) aangevuld met soldaten van 44 Pantserinfanteriebataljon Regiment Johan Willem Friso (toepasselijke naam nietwaar? )en het 42 Tankbataljon Regiment Huzaren Prins van Oranje (Top voor Willem grootst in de strijd). PzH 2000 gemotoriseerde artilleriestukken werden ook voor de eerste keer ingezet en ingezet in gevechten. Een versterkte ondernemergroep van A (Kings ‘) bedrijf van 11 Grenadier en Ranger Guards Battalion van de 11e Air Assault Brigade diende als de regionale eenheid South’s reserve-eenheid / QRF. De Koninklijke Luchtmacht steun bestond uit zes F-16 close-air-support vliegtuigen (gestationeerd op Kandahar Air Field), zes Chinook transporthelikopters van 298 Squadron gestationeerd op Kandahar Airfield en zes AH-64 aanvalshelikopters van 301 Squadron in Camp Holland in Tarin Kowt. De Chinooks hebben in mei 2007 vijf Eurocopter Cougars vervangen. Er was ook een klein aantal KCT-leden actief in Zuid-Afghanistan, wiens taak het was om op de Talliban te jagen en speelde een grote rol in de Slag bij Chora toen ze de taak kregen het dorp te verdedigen tot een 500 man sterke Nederlandse batlle-groep. aankomen. De KCT-troepen vochten naast gevechtsgevechten in de straten van Chora naast de Australische SAS-leden (Ja daar komt Marco in beeld denk ik zo). Nederland heeft deze oorlog altijd afgedaan als een VREDESMISSIE terwijl het een regelrechte oorlog was, hezelfde doen ze in Irak, Mali en geprobeerd in Syrië. Waar oorlog is, is geen vrede! De Noorse troepen in Afghanistan bestonden uit een gemechaniseerd bedrijf en een ondersteunend squadron uit de Telemark Bataljon, en een inlichtingen-, surveillance- en verkenningseskader uit de Etterretningsbataljonen. De speciale krachten N en Kystjegerkommandoen waren betrokken bij operatie Harekate Yolo. Telemark Bataljon, allemaal werkzaam bij ISAF-troepen in het noorden van Afghanistan.